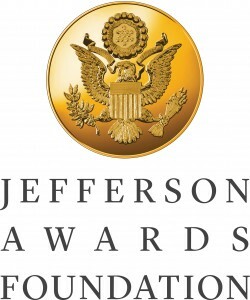 The young woman walked confidently up to the wooden lectern, with the beautiful bright blue Jefferson Awards Foundation logo sparkling with all the camera flashes. Without hesitation she began her story. She took a deep breath and continued. My heart sank, my throat constricted, and tears welled. Without skipping a beat this seventeen-year-old offered that she had chosen to dedicate her efforts to Habitat for Humanity, so that no other family had to live without a home. 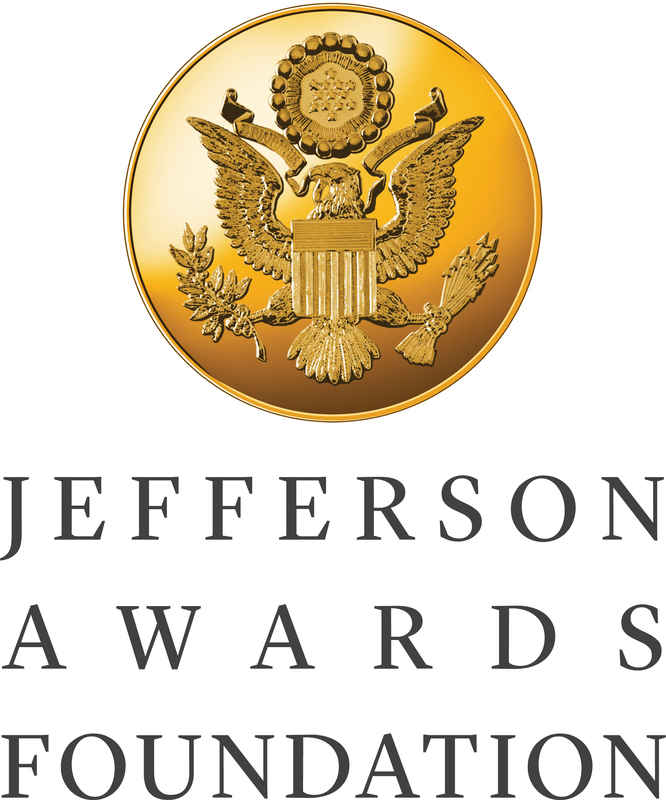 I approached her after all of us regional Media Partner Jefferson Award recipients had the chance to share why we were chosen to be honored to the audience. I found it rather ironic that I would make a connection with a young woman living with a mother who clearly doesn’t deserve to be one, while being recognized for honoring my own daughter taken from me entirely too soon. This young woman was a reflection of the incredible individuals I met throughout the two day national Jefferson Awards conference. I was touched by the work other bereaved parents are doing in honor of their children. And others with their own losses and challenges. 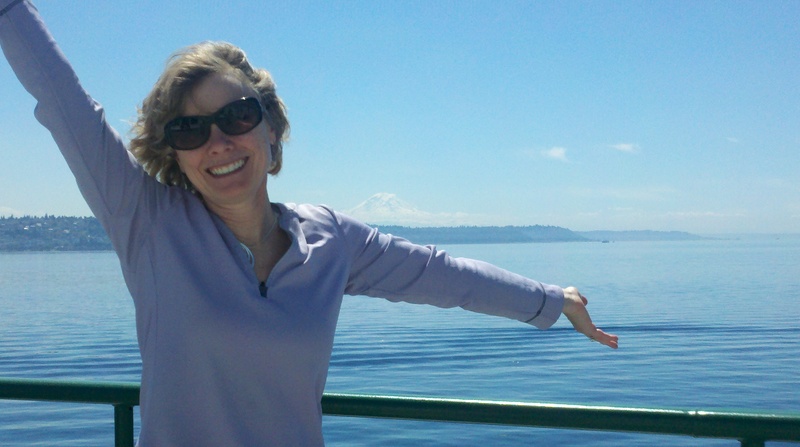 I met a woman from Aiken SC who lost her husband to a drowning accident. She’s providing life jackets and safety lessons to those enjoying the lake her husband lost his life to. I met a man who is providing camping experiences to special needs kids. And another who lost most of his lung capacity due to an accident who is teaching children how to fish. Most of all, I came to terms with being recognized for what I have always considered to be a family and team effort. Just as I cannot claim Claire entirely as my own, for she belonged to all of us who loved her, nor can I take ownership of what we have created in her honor. When it was my turn at the lectern, through tears and smiles, I offered our journey. As a mother, as a family, as a community. I was honored with rousing applause after thanking the audience for allowing me to share Claire’s story, our story. I’ve been asked by many friends what the experience was like. It was amazing being in the presence of so many giving back to their communities. It was incredible sharing all the “goose bump” moments with Brad, Kyle, Ian, my brother Gordie and niece and goddaughter, Hannah. Icing on the cake was having my two dear friends Susan and Pam along, as well as Jeanette and Diana from Read for Literacy/Claire’s Day. The gala dinner was spectacular, with Supreme Court Justice Sonia Sotomayor roaming through the audience as she spoke. The Secret Service agents must have been having conniptions. She didn’t care. But most of all, the ceremonies left me wanting to do more, to give more. To recognize more children who are working so hard to improve their reading skills. To give more books to children who don’t have any in their homes. To share Claire’s story with the world. And to perhaps help make a difference in the life of a young woman who deserves better. A friend recently told me that all the good stuff happening to me as of late was the universe paying me back. She also said she was waiting for the same in her life. My life proves that even though bad things do happen to good people, (and excuse the assumption, but I do really try to be good), good things happen too. It all begins with choice. I chose to live after my daughter died. Really live. I chose to honor her in a way that was true to her. I chose to hold on to my relationships with my awesome husband, Brad, daughter Kyle, and son Ian. I chose to accept all of your gracious help and support. I chose to get my derriere back in my desk chair and start writing again. I chose to be open to opportunities even when they were downright scary sometimes. And all of these choices have lead me to all of the good stuff of today. So hang in there. Hold on to those who love you, make the best of each day and rest assured, the universe will pay you back.